In the Australian state of Victoria, November 21, 2016 was the hottest day since the previous March. As the temperature closed in on 95 degrees F in the early afternoon, the Bureau of Meteorology issued a severe thunderstorm warning calling for damaging winds, heavy rainfall and large hail. By 4 p.m., that warning was extended to the city of Melbourne. An hour later, the storm began hammering the city. While it swept through rapidly, there was nothing unusual about it. “There was no evidence to suggest that these storms and other non-meteorological factors would result in a health emergency of unprecedented scale and consequences,” the state’s Inspector-General for Emergency Management wrote in a report in 2017. That was, until the calls to Australia’s version of 911 started pouring in. Residents were overcome by coughing, wheezing and difficulty breathing. Thousands of people were having asthma attacks, although many didn’t know it, and had no idea what to do. 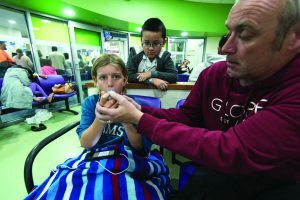 By 7 p.m. on November 21, hospital emergency rooms were dealing with a 50 percent rise in demand over the previous week, while the report said the Emergency Services Telecommunications Authority fielded more than 2,300 calls, an “unprecedented level of demand.” Between 9 p.m. and midnight, ambulance calls were 147 percent above forecasted levels. Health officials at first had no idea what was causing this sudden spike in asthma attacks, and poor communication between hospitals meant each didn’t know that their experience was being shared at other facilities. The event in Australia was widely reported on as a bizarre phenomenon. 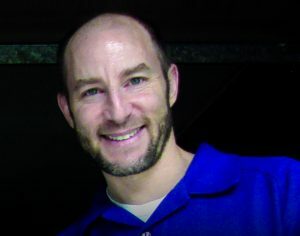 But to someone like Andrew Grundstein, a professor of geography at the University of Georgia whose research into climate and weather includes systems that produce outbreaks of thunderstorm asthma, the topic is all too familiar. A normal rainfall often helps allergy sufferers, since it can reduce the amount of pollen in the air. But a thunderstorm is more violent, and can draw pollens into clouds where they will rupture in the high humidity. Grundstein says strong downdraft winds then can spread these tiny pollen fragments widely, and they can be inhaled deep into the respiratory system by sensitive individuals, possibly triggering an asthma attack. “When they’re released, they’re little packs of dynamite,” Dr. Richard Weber, a professor of medicine at National Jewish Health in Denver, says of these pollen granules. During Melbourne’s thunderstorm, the high downdraft winds dispersed those tiny granules over a wide area, affecting a large number of people in a city of 4.6 million. That storm occurred during Australia’s late spring, when pollen levels were high, and at a time when a lot of people were outdoors. All of these factors combined to create a “perfect storm” for a severe thunderstorm asthma event, says Dr. Nur-Shirin Harun, a respiratory physician at The Royal Melbourne Hospital. How Common is Thunderstorm Asthma? Although it has been reported in the scientific literature for more than 30 years, large-scale outbreaks of thunderstorm asthma are infrequent. However, there may be increases of smaller events that are still significant. Grundstein led a 2008 study from the University of Georgia and Emory University that analyzed 12 years of data from hospitals in the Atlanta region. The researchers identified a 3 percent uptick in emergency room visits for asthma in the days following a thunderstorm. “While a 3 percent increase in risk may seem modest, asthma is quite prevalent in Atlanta, and a modest relative increase could have a significant public health impact,” the study warned. Small increases are also more likely to be missed. 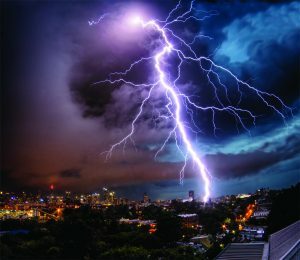 Grundstein says that unless it’s a big event, “hospitals probably don’t notice the link between thunderstorms and asthma.” It’s hard to predict whether “epidemic events,” such as the one in Melbourne, will become more common. 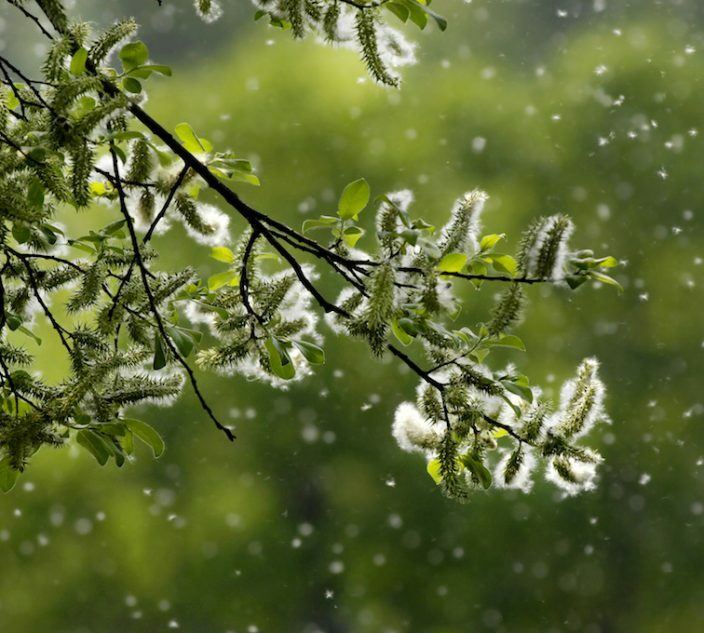 However, Grundstein says climate change is altering weather patterns and pollen seasons, and that could be a cause for concern for allergy sufferers. “Longer pollen seasons coupled with stronger thunderstorms, which are predicted in some studies, might increase the frequency and severity of thunderstorm asthma events,” he says. What is it Like to Experience Thunderstorm Asthma? Mary-Kate Louis is a 24-year-old Australian with asthma. She was eight months pregnant last November and wasn’t taking her asthma medication regularly. When the Melbourne storm hit, she experienced breathing difficulty, and her reliever inhalers weren’t helping. Harun says people most at risk for thunderstorm asthma are those who have asthma or hay fever with poorly controlled symptoms, or those who are predisposed to developing asthma but have never been diagnosed. In the Melbourne outbreak, the individuals with one or more of these conditions would have had sensitive airways, making them vulnerable to certain triggers, including airborne pollens. The Asthma Australia organization conducted a survey of 3,400 people affected by the Melbourne event. Seventy-nine percent reported having an asthma attack that day, but only 40 percent of that group had previously been diagnosed with asthma. 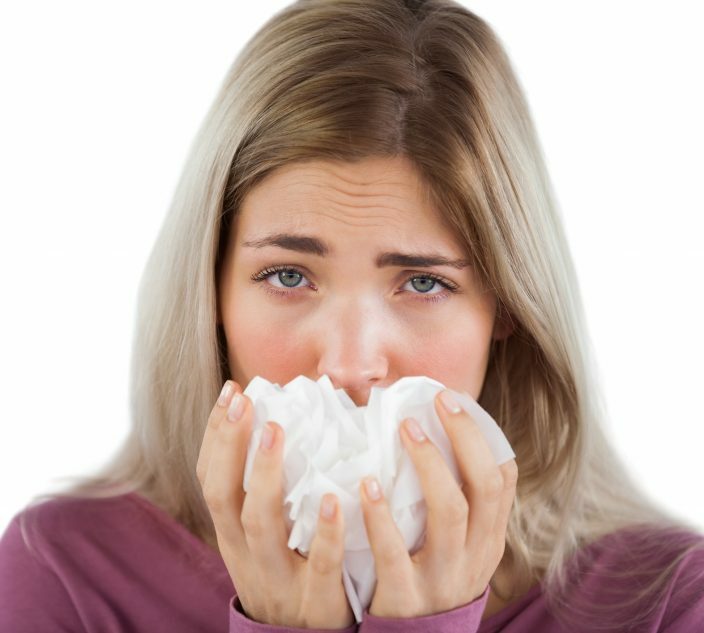 However, 92 percent said they did suffer with hay fever. 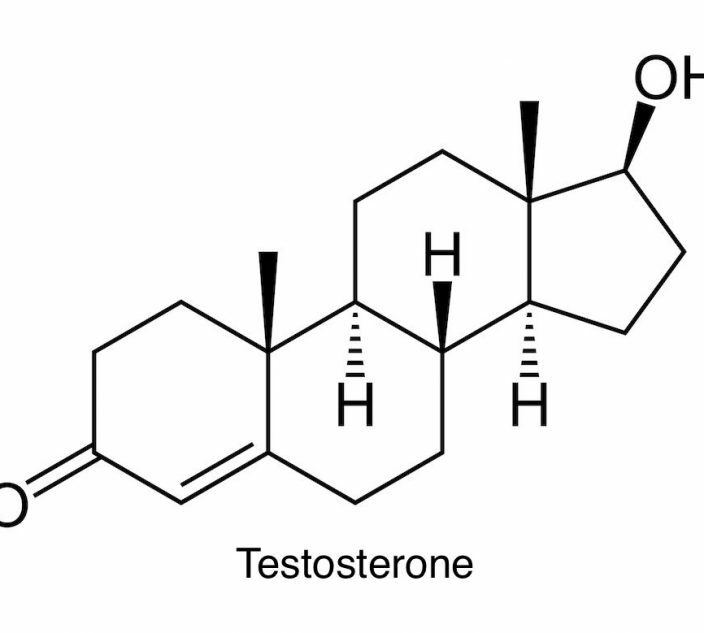 “The take-home is that in Melbourne thunderstorm asthma incident, the people affected were generally young adults, highly sensitive to rye grass pollen with no prior history of asthma or, if they did have asthma, were less likely to be on preventer therapy,” Harun says. Many people who suffered asthma attacks in that event reported hay fever symptoms such as sneezing, runny nose and itchy eyes, in the weeks before the storm. As for specific allergens, there is a higher risk of severe symptoms of thunderstorm asthma with allergies to grass pollen and mold. While mold played less of a role in Melbourne, it has been a factor in other thunderstorm asthma events in other parts of the world. Asthma Australia is working on a public awareness campaign that will warn people about the risks of letting their asthma, hay fever or pollen allergies go untreated, says CEO Michele Goldman. The message, which is good advice for North Americans too, will be simple: speak to your doctor about your symptoms, and get and stick to a preventative asthma action plan to minimize the risk of a thunderstorm asthma attack. “If we can get people to better manage their asthma, to ensure that they can recognize symptoms and know what to do, then the impact will be significantly reduced,” says Goldman. Australian state authorities have pledged $15.5 million “to make sure we are better able to predict and respond to similar large-scale events.” However, right now, it’s impossible to accurately predict thunderstorm asthma conditions. 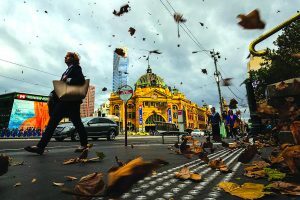 In research published in April 2017, Grundstein’s team looked at Melbourne as a case study, applying the wind-measuring model to weather data collected from the event. They were able to correctly predict the wind gusts that did occur that day, which topped 50 miles per hour. The model still must be tested against other previous thunderstorm asthma events to confirm its accuracy before it can be shared with public health officials and emergency agencies as a forecasting tool. With the 2017 study, “we’re adding a piece to the puzzle in terms of how we can forecast things, but we’re not quite there yet,” he says. An accurate forecasting model for thunderstorm asthma will allow meteorologists and public health officials to be able to say that the “ingredients” for an outbreak may be in place, and give people with allergies and asthma adequate warning to get indoors.